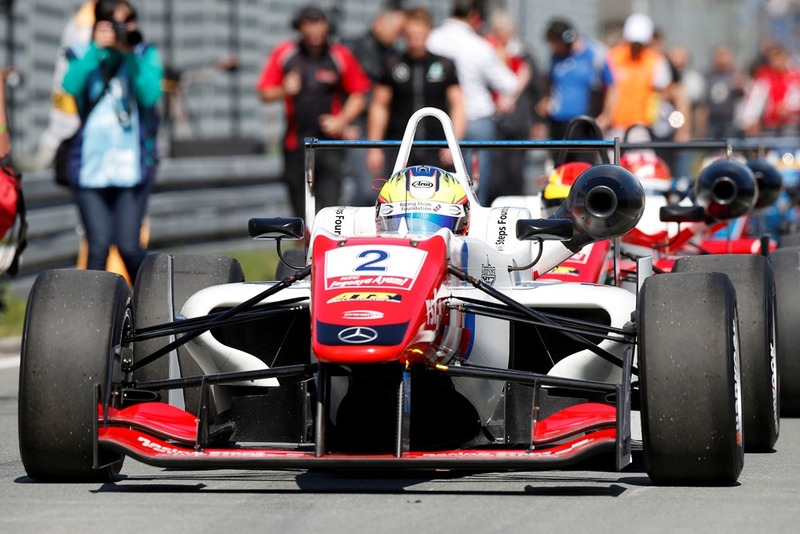 The RSF-backed Prema driver - who slipped down the pecking order yesterday after collisions denied him probable points-paying finishes - ended race three in 11th place due to a technical problem that severely impeded braking. The two-times Spa race-winner dropped from fourth on the grid to fifth at the start but thereafter dropped inexorably down the order and out of the points as the issue left him powerless to defend. To add insult to injury he was also the innocent victim in another clash as Dorian Boccolacci and race two nemesis Santino Ferrucci capitalised on his misfortune to drop him to seventh. This time it was Boccolacci who made contact. Despite the problems Dennis soldiered on in the hope of retaining a place in the points but that prospect was dashed five laps from the end when he was relegated to 11th by Callum Ilott and Alessio Lorandi. Title rival Antonio Giovinazzi had no such problems. The Italian snatched the lead from third on the grid when the lights went out and subsequently mastered three restarts to seal the victory without ever really being challenged. He took the win - which puts his title challenge firmly back on track - just over a second ahead of George Russell and polesitter Alex Albon who finished another half second in arrears. The Carlin driver is now back up to second in the title race 42 points behind the leader, Charles Leclerc. Dennis meanwhile has slipped from second at the start of the weekend to fourth a substantial 80.5 points adrift of Leclerc.